Logos are the face of your company. It’s important to have a logo that gives off the feeling you want your customers to remember you by. With design trends constantly evolving, it’s important for companies to make sure their logo looks fresh and modern to keep and attract customers. Companies like Apple and Microsoft have each been around since the mid 1970s, and have each redesigned their logos 5 times. Google has only been around since 1998 and has also undergone 5 logo redesigns. Clearly, these companies understand the need to stay ahead of their competitors by maintaining a modern and innovative look to appeal to their consumers. 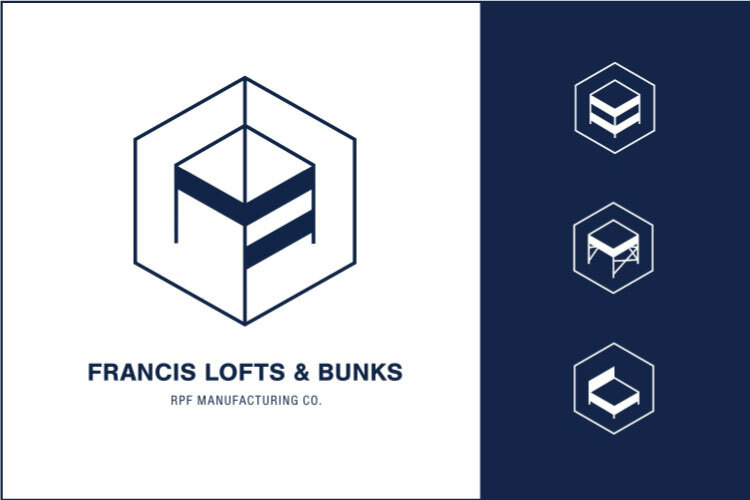 Francis Lofts & Bunks came to us wanting a complete rebrand—they wanted a new logo, website, and print materials. As a company that sells custom, modern looking bunk and loft beds, they wanted their logo and website to reflect that premium product. During our kick-off meeting, we sat down with one of the co-founders of Francis Lofts & Bunks, Ryan, to get a better grasp of his company and what message he hoped the new branding would reflect. How would you describe your company to someone? What are your best selling products? And are those the ones you want highlighted? How would you describe your product/service? What do you like/dislike about your current logo and branding? We also did a quick word association exercise, where together we created a list of words that best describe the company and its’ products. Our list consisted of 25 adjectives which included: contemporary, modern, high-end, stable, and functional. This list is extremely helpful to keep in mind when designing because it establishes the feeling we want consumers to have when seeing the new logo. We tried gathering as much information as we could during this step because it will help us understand what our client is looking for and hopefully get a feeling for their aesthetic taste/style. This eliminates a lot of the guesswork which ultimately helps lead to the best design faster. Before starting any initial sketches, I made sure to do some research into the industry. When researching for this particular logo, it not only helped me gain a better understanding of the furniture industry as a whole, but also gave me ideas of what to avoid. As with any logo, it’s important to stand out and be memorable—so seeing a bunch of examples of what’s already been done was certainly helpful. You wouldn’t want to spend hours designing a logo only to find out later that it’s been done before. Similar to the word association exercise, I went through all the reviews on the current Francis Lofts & Bunks site and picked out all the adjectives that their customers used to describe the beds. Sturdy, modern, space saver, and sleek were among the most popular adjectives; I knew that it would be important to make sure that the new logo reflected those emotions. This is where I get out that pencil and paper to start quickly sketching out some initial ideas and potential directions for the logo. Then I open up Illustrator and start turning those sketches into vectors. As tempting as it is to start playing around with color, I always force myself to work in black and white. Color can be distracting and can leave a lasting impression on a client. This means that if they don’t like the color, they might dislike the whole logo as a result (no matter how good the logo really is). 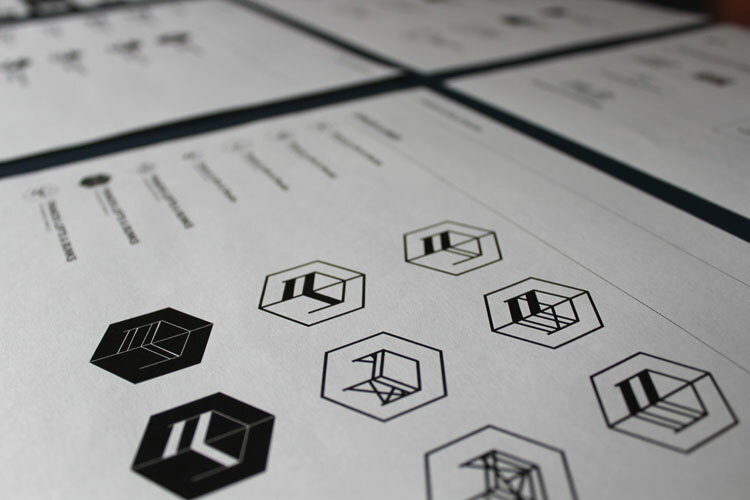 During this process, printing out the logo at various sizes is important. A logo could look great during a presentation on a large screen, but we also need to consider legibility at smaller sizes as well (i.e. 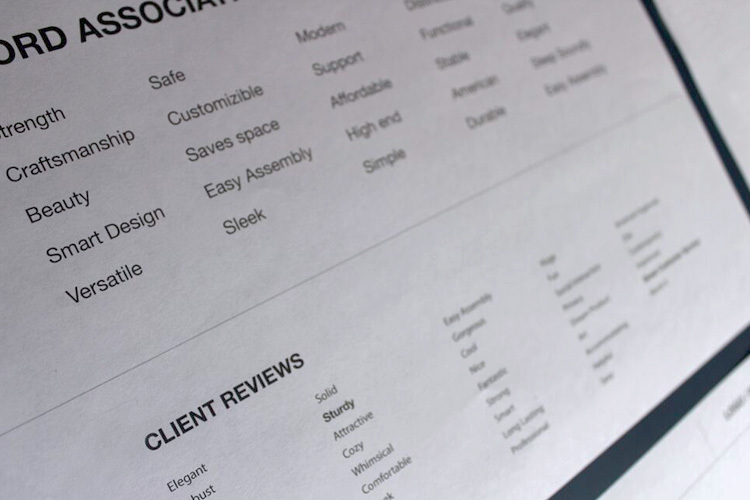 in the navigation bar of a website or printed small on business cards). I went through all the logo variations and picked out my five favorites. It’s good to show anywhere between three to five different logos. And by “different” I don’t just mean using a different font, but three to five very distinct directions. However, showing too many options can become overwhelming, not to mention the risk of having one logo that you’re not too fond of getting chosen. I refined those 5 logos by making sure all the lines were clean and alignment was tight as well as making adjustments to the spacing and kerning of the text. 1. The square and opening are supposed to suggest a blueprinted room. And the text placed inside the room has plenty of padding around each letter to give off the impression of efficient use of limited space. 2. The second one takes an abstracted monogram approach, where I used a square again to represent a room and within that space created the letters F and L out of smaller squares. The positive and negative space relates to how Francis Lofts and Bunks help customers save space and how seamlessly their beds can fit within their homes. 3. 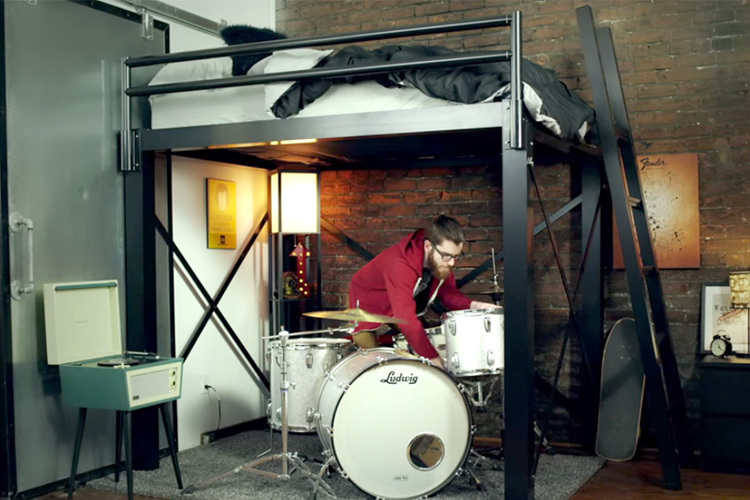 The central logo uses typography and positioning of the text to reflect the products they sell—so the stacking of “lofts” over “bunks” suggests the form of the beds. 4. The next logo also takes an abstract approach, showing a silhouette of a bunk bed. The logo’s boldness is used to evoke a sense of stability and inform customers of the sturdiness and safety of these beds. 5. This last one was definitely my personal favorite. The hexagonal shape represents a three dimensional space and I included both a three dimensional loft and bunk bed to fit inside the room. This was the only logo that clearly represented the two primary products that make up their company. Luckily for me (and for Francis Lofts & Bunks), this was the chosen logo! With every logo it’s important to provide clients with a complete folder that includes both horizontal and vertical logos exporting it in various file types and sizes. It’s helpful to have these on hand when creating promotional products or sponsoring events where someone would require a high quality copy of a logo. 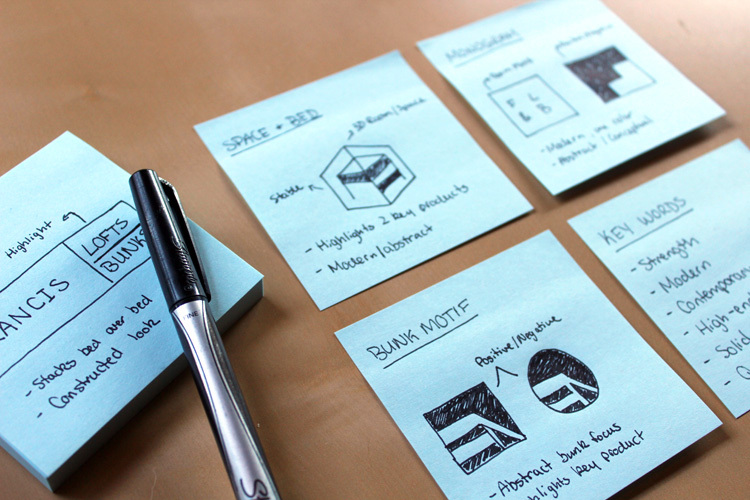 In addition to the new logo, we designed custom icons to compliment the logo to add cohesion throughout. Be sure to check out the new Francis Lofts & Bunks site where we used the new branding as the foundation to redesign the rest of their website. 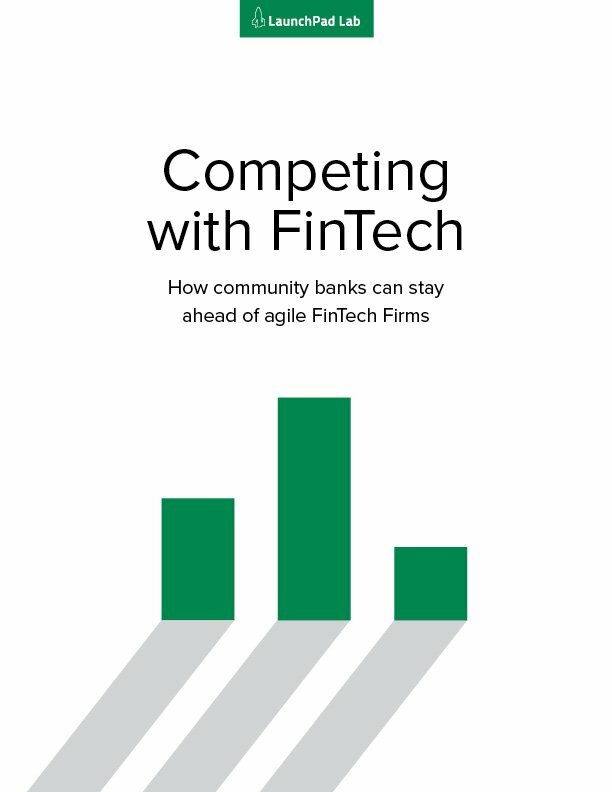 Learn how local banks can stay ahead of the move to online financial services and compete with rapidly growing online firms. Monique's interest in design started at a young age, but it wasn't until going to school at the University of Illinois that she discovered her love of UX & UI design. With degrees in both Graphic Design and Psychology, she has developed a strong understanding of how design can enrich a user's overall experience. She also enjoys running outdoors, reading, and baking/eating plenty of baked goods.